Our methodology makes dental implant training courses easy-to-learn and fast to understand. Obtain knowledge in our dental implant courses with live patient training, hands-on, one-on-one mentoring and live surgeries. There's more to dental implants than just bolts and screws! Further your career with the best oral implantology training. Perform your live patient surgical training now. To develop the skills and knowledge of dedicated dentists through innovative dental implant courses. Our mission is to ensure doctors fully comprehend scientific theories and be able to adequately perform procedures on patients. Through our hands-on activities, live surgery demonstrations, and live patient training we strive to achieve this. By teaching basic concepts, diagnosis, treatment planning, dental implant selection, bone remodeling, cone beam imaging analysis, tooling and instrumentation, dentists further their expertise and provide their patients top-tier dental health care. We teach dentists how to manage dental implant complications. Through our one-on-one mentoring, we guide dentists on how to perform dental implant surgery. 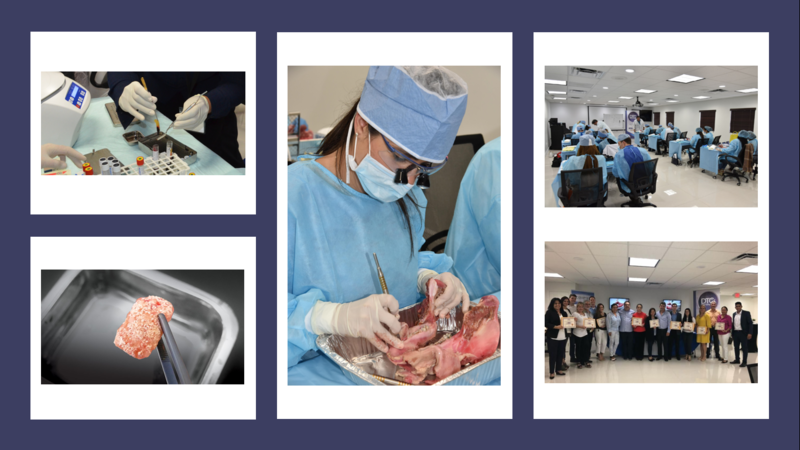 We offer advanced implant training, courses designated for dentists in the subjects of Bone Grafting, L-PRF, Sinus Lift, complete implant rehabilitation, oral surgery and more. Implant dentistry is the main focus in our courses. 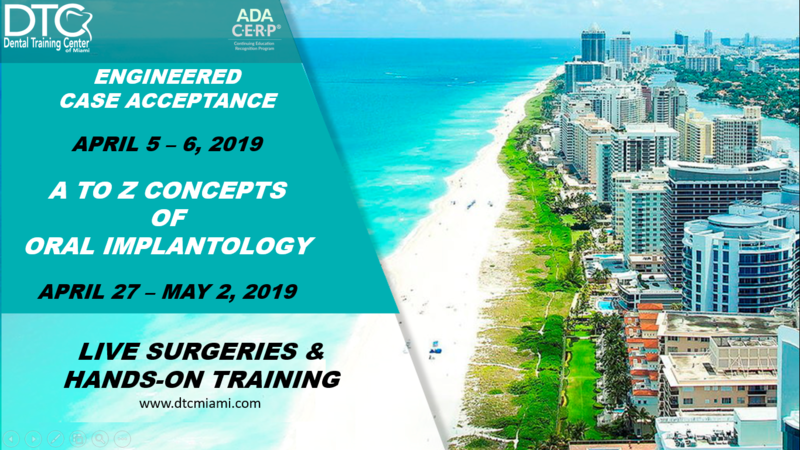 Each course is designed to provide knowledge from basic to advanced implant training. Let us help you place your first dental implant and join our training program. Our on-site training facility allows attendees to have hands-on dental training using appropriate and sophisticated dental technology. Participants observe live implant training happening right within our center. Our doctors are committed to excellence in the field of implantology, surgery and oral rehabilitation. 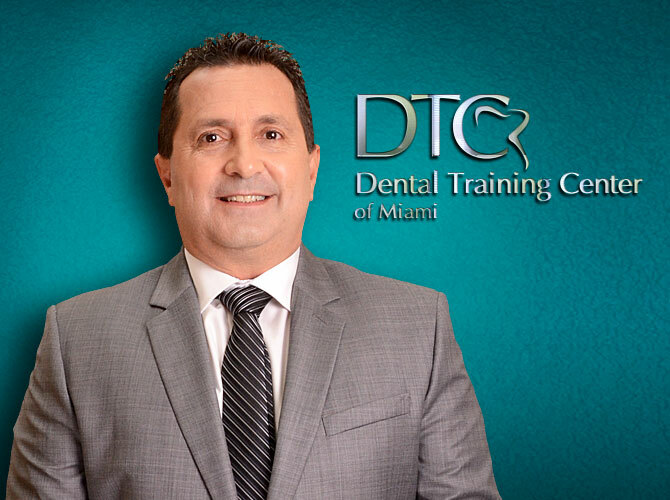 Vice-president and co-founder of Dental Training Center of Miami. A world class training center! Happy students share experience with DTC Miami. Implants and L- PRF. Great Course!!! Well documented cases. This course gave me the confidence to do more comprehensive cases. 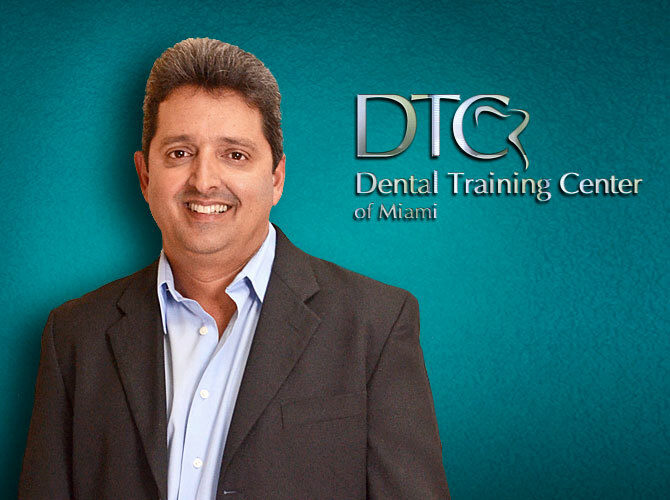 Dr.Buitrago is very knowledgeable and energetic. Implants and Restorations Courses has been a great learning platform and had helped me to prepare for the next stage in my cases.